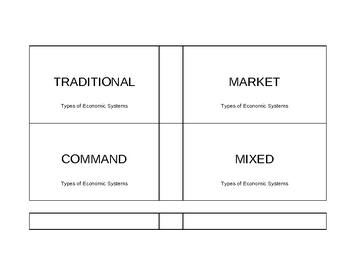 These are flash cards over the types of economic systems; traditional, command, market and mixed. 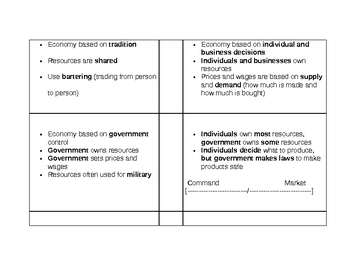 There are 3 sets, one with the name of the economic system, one set with the definitions/ descriptions of the economies, and one set with pictures. 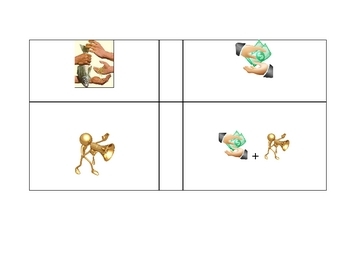 They could be used to play a match type of card game or to make traditional flash cards.